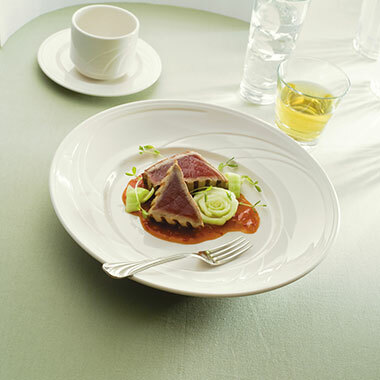 Syracuse's Cascade China Dinnerware pattern is ideal for a healthcare, banquet or university setting. The simple, yet elegant carved design provides an element of style, while the soothing Flint body color goes with any décor. Additionally, each piece comes equipped with a Lifetime No-Chip Warranty and is recommended for heavy usage.